As Florida celebrates the quincentenary (500 hundred years) of Ponce de Leon’s 1513 landing on Florida’s shores, the Tampa Bay History Center presents Charting the Land of Flowers: 500 years of Florida Maps. The exhibition opens on Saturday, September 21. This is the most comprehensive exhibition of Florida cartography ever presented. 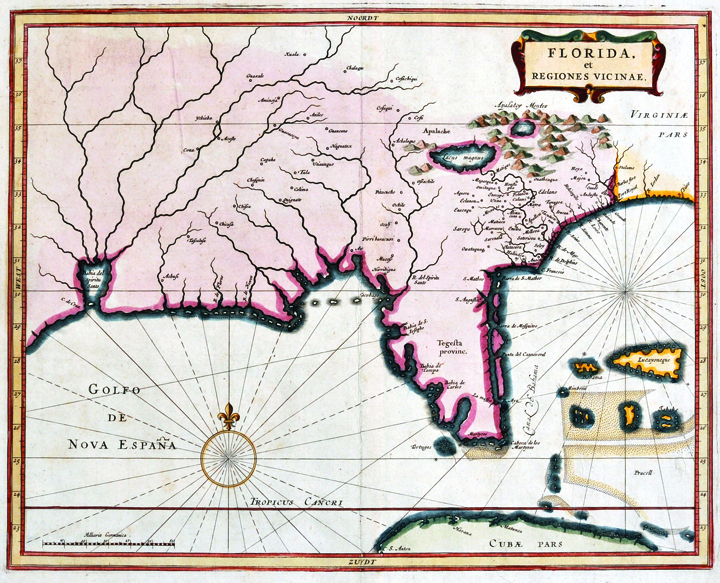 The exhibit traces six centuries of Florida history, utilizing 149 maps (and one digital map) from museum and library collections from around the world. Many of the maps will be on view to the public for the first time. The early maps presented in this exhibition are as much works of art as they are historical documents. Some of the maps featured in the exhibition include: Tabula Terre Nove (1513): Portrays the world as it was known at the time of Ponce de Leon’s Florida landing; The Capture of Tampa Bay, Florida (1864): Shows the Union capture of Tampa; American Automobile Association (AAA) (1917): shows early Florida road map; and NASA view of Florida from Space, taken by astronaut and Clearwater native, Nicole Stott in 2009. The History Center is located at 801 Old Water Street in Tampa. For more information, please visit www.tampabayhistorycenter.org or call 228-0097.